If you have already ticked the main attractions in Sofia off your list, or if you have a reputation for seeking out hidden gems wherever you are, you’ll love this. The following list will take you to some of the off-the-beaten-track places in Sofia, where the majority of the visitors you’ll run into will be locals. This tiny botanical garden in the center of the city is a hidden gem for many locals, so you can easily surprise a Bulgarian friend by inviting them to visit it with you. 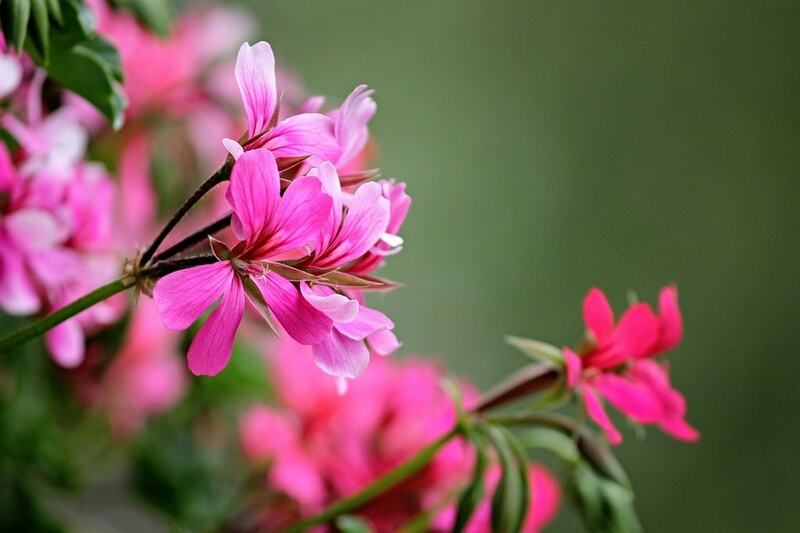 Walking among the flowers and taking a guided tour will transport you far from the hustle and bustle of the capital. Sofia is a very green capital, full of huge parks and tiny green spaces that invite nature to thrive throughout the city. You may have already strolled along the paths of the Borisova gradina (the huge park in the city center) or Yuzhen Park (South park), but there are other small parks that will tickle your fancy, like Doctor’s Garden (right behind the National Library) and Zaimov Park, just a five minute walk away. These two parks host festivals, live concerts and special events on summer nights. During the days, they are a shady refuge from the heat, complete with ice cream and coffee vendors and perfect sitting areas for enjoying conversation. Take the subway to Business Park Station, then walk a bit to one of the most beautiful concrete Communist-era monuments: The Bells Park (Kambanite). 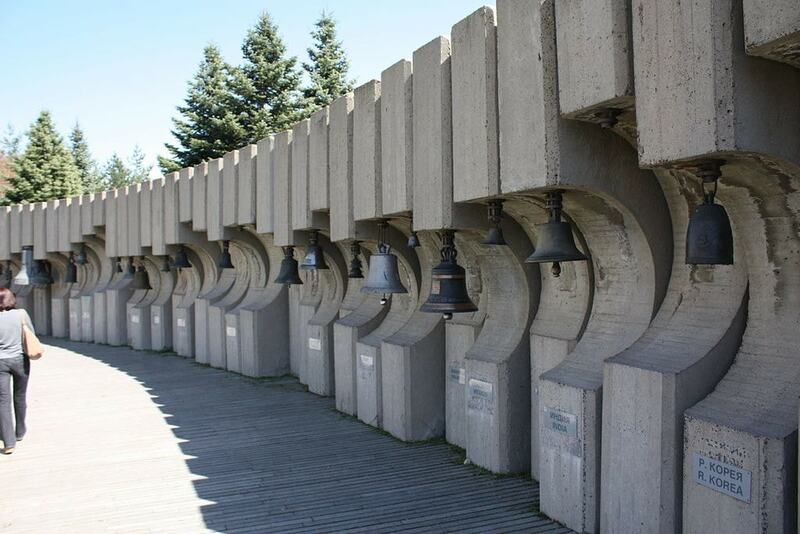 Built in the 1980s, the park’s bells hail from many countries around the world. Take a few minutes to look for your country’s bell and even ring it. There’s also a picnic area nearby to spend some time outside. Dragalevtsi is an outlying district outside Sofia that has a village atmosphere. It is worth a visit for many reasons, especially if you are into hiking. This is where many of the Vitosha Mountain trails start, and it’s where two lifts are located that take hikers closer to Cherni Vrah peak. Hidden in the forest, just a short hike from Dragalevtsi, is the Dragalevtsi Monastery. This religious complex is nearly 700 years old and it is still active today with several nuns charged with taking care of it. 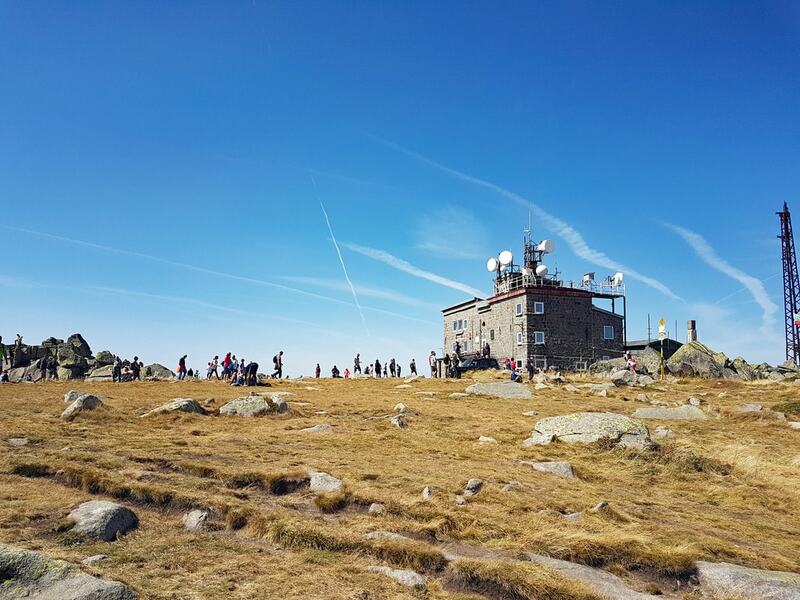 Cherni Vrah is the highest peak on Vitosha Mountain – the mountain you see from almost every vantage point in Sofia. Hiking to the top makes for one of the best day trips from the capital because it is reachable via public transportation. Be sure to grab a mountain map; Vitosha is quite dangerous, so don’t venture without a map. Take the chair lift to the base of Cherni Vrah and then start your hike from there. The hike takes about two hours without a significant altitude climb. There is a tea house at the top where you can order a beverage like coffee or beer and even enjoy a light lunch. One of the best kept secrets in Sofia, this small cinema with a focus on independent movies will impress you. With its charm, old-time cinema memorabilia and spacious bistro, where you can try Bulgarian craft beer or enjoy a glass of wine and a book, Cultural Center G8 is a great place to spend an afternoon. The best time to visit is in the summer, when their small yard transforms into an open-air theatre showing a new movie every night. Movies (except for animated films) are screened with Bulgarian subtitles, so you can hear the original language in which the movie was filmed (usually English). This boutique restaurant will make you feel as if you have been dropped in the middle of a fairy tale. The cozy, yet eccentric interior turns on the imagination, as old dolls, ladders, trinkets and bicycles hanging from walls surround you. The menu contains a variety of mouth-watering meat and veggie dishes inspired by local cuisine. There’s a lunch menu available throughout the week as well.